Great article.. very informative and eye opening..
can you also post stats on buying SPY at 10:30am after full hour? Interesting data. Might letting us know where you get the tick data from? 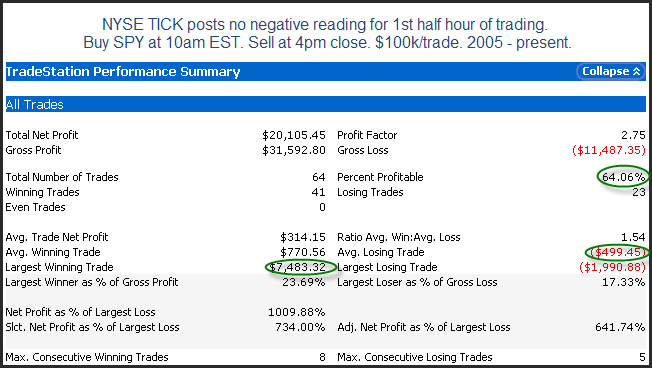 I know a blogger who said that and said to trade when first hour above 0 is buy the dips-day. He didn't tested it though, but a hunch. But its interesting first half hour is same.